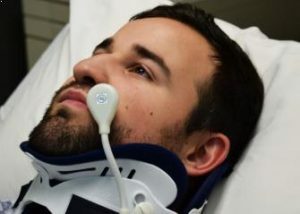 Utilizing state-of-the-art technology to allow impaired or disabled patients to summon and communicate with caregivers. 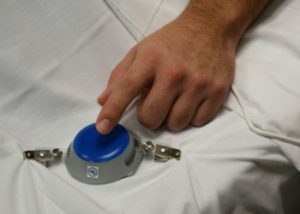 The noddle is easily mounted and interfaces directly with existing nurse call infrastructure. Improving patient communication has a dramatic impact on outcomes for vulnerable ICU patients, enabling them to be advocates and participate in their own care. 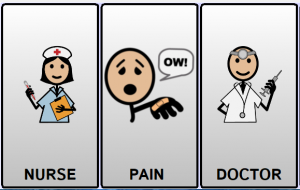 Confidently know that your patients can communicate with their caregivers and family. Push play to see the noddle system in action. 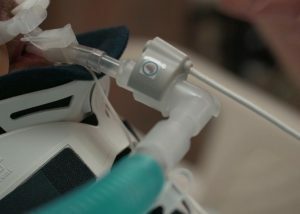 The noddle is activated via a variety of sensors specifically designed for individual patient needs and unique physical capabilities. 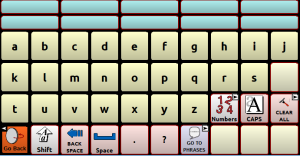 The J-Mic and Vent-Mic (for intubated patients) can access nurse call and control the noddle-chat tablet with the click of the tongue. 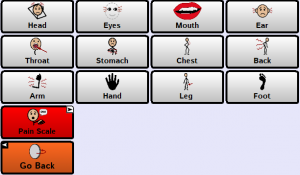 The J-Touch and Bed-Touch sensors allow patients to utilize minimal low-force touch to activate the noddle and noddle-chat tablet – perfect for patients with fine motor skills. 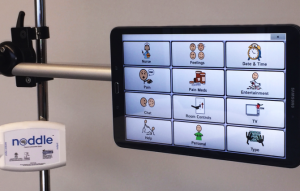 The noddle-chat tablet connects to the noddle via a safe, encrypted Bluetooth® connection, allowing patients to communicate with care providers and family. 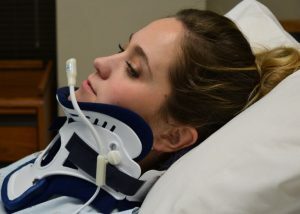 The noddle-chat tablet is easily mounted with a custom adjustable arm and consists of a series of communication templates activated by the patient’s intentional gestures. 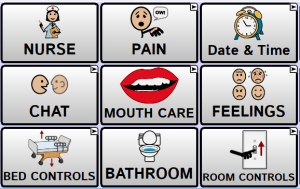 The noddle-chat user vocabularies include text and images specifically designed for hospital and long-term care use. 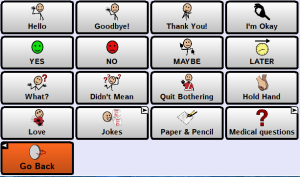 The voices are gender and age specific and allow for a range of communication including basic conversation, expressions of pain, feelings and humor, environmental control, and conversations regarding diagnosis, treatment and potential outcomes. Helpful and practical resources for all medical specialties utilizing the noddle system at their healthcare organization. See how the noddle system can support your organization clinically, operationally, and financially.